Natural remedies for anxiety encourage contact with other types of health professionals such as massage therapists, acupuncturists and herbalists that can expand your strategies for coping with this health condition. Anxiety can be held throughout the body in the form of tension. Tension can create a loop between the body and mind that can make it difficult to release anxiety. Relaxation techniques for anxiety are helpful to release this tension from the body and anxiety from the mind. Nutritional supplements can be used as natural remedies for anxiety, especially when nutritional deficiencies are the cause for anxiety. Supplements, such as melatonin, can also be helpful with insomnia, and other specific symptoms associated with anxiety. Supplements for anxiety are often replacing substances that naturally occur in the body so side effects are typically minimal. Natural food sources may be helpful for providing relief but when treating more acute anxiety, supplements are more effective for producing optimal results. Various therapies for anxiety, done with a trained health care professional, can provide support and in some cases, help you get to the source of your anxiety and stress. Therapy for anxiety provides a remedy that does not involve anti-anxiety medications, which may cause strong side effects in certain cases. 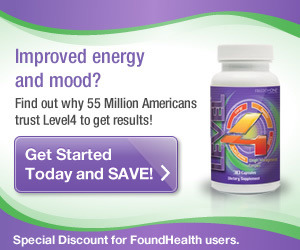 FoundHealth has 38 treatments for Generalized Anxiety Disorder! See all Generalized Anxiety Disorder Treatment options and start building your care plan today. Hi, just a quick note to tell you that I appreciated reading your article.